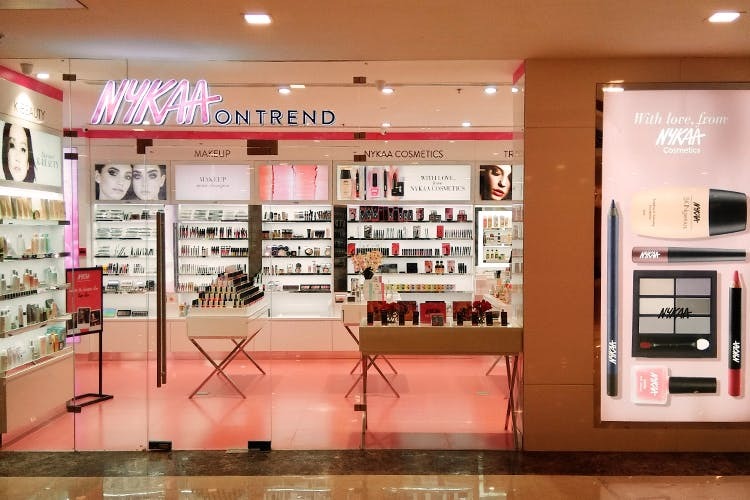 We happened to be checking out another store opening when we found, on the lower ground floor of Vasant Kunj’s Ambience Mall, a brand spanking new Nykaa On Trend store that had literally just opened the previous day! What a happy little secret surprise for any Vasant Kunj mall regular this is! Unable to resist, we grabbed a few photos of the store and gave it a quick once-over. The store is a nice size, with enough counters and displays to offer both in-house Nykaa beauty goodies (they stock the cool Nykaa make-up brush cleaners, the new Matte To Last range, The fun new Unicorn nail polishes, and a lot of the online loot), as well as a curated section called ‘Nykaa Loves’, which has stuff outside the in-house brand that Nykaa recommends. With sections dedicated to beauty masks and face-packs, lipsticks, nail enamel and skincare – this is going to be any beauty addicts haven. Make sure you check out the Make-Up Game Changers section – it looked amazing!